I turned away at the “right” moment on Sunday when watching the Louisville-Duke game. I had to YouTube and Barstool the Kevin Ware injury and I can say I never felt worse for an individual athlete. The poor kid’s leg was hanging there and many of his teammates were surrounding him in tears and were in fear, but he has stayed positive since the horrific injury. Both coaches were torn you could visibly see, especially Rick Pitino who had to keep wiping away the tears from his eyes. Kevin Ware has been interviewed and photographed since then. I watched his interview with Rece Davis and the young man was brought to tears when speaking about his teammates and how they have handled his situation. 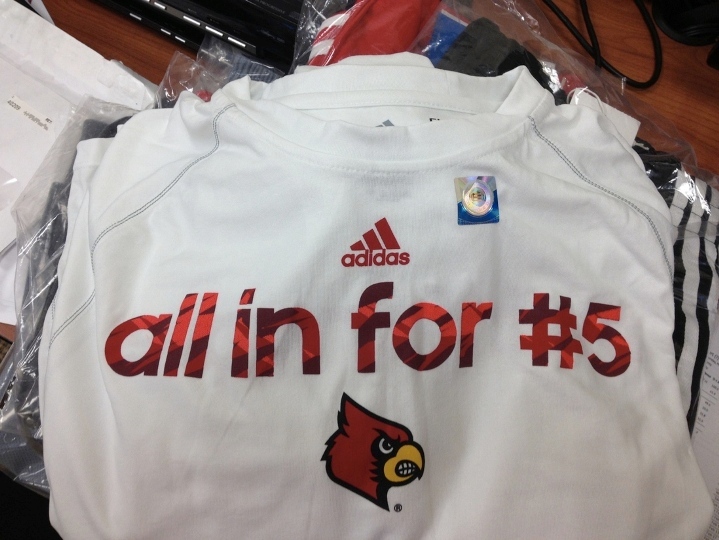 The shirts and warm-up jerseys Louisville are going to wear in honor of Ware are pretty legit if you ask me, even though some are questioning the intention of Adidas and Louisville for selling such items. All I have to say is let them be, and watch out for Louisville even more now playing with this in their minds! 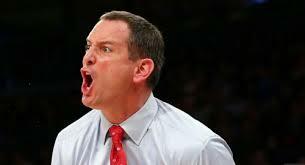 Rutgers coach Mike Rice has been fired over the revelation to all, he has some serious anger issues and takes it out on his players. If anybody had a pair of eyes and saw the guy at Robert Morris could have seen something like this coming. Rightfully so, the guy was fired. However, just like instances of PEDs in baseball and improper benefits in college sports, more of actions like this will come out of the shadows from coaches whom you would expect this from. Coaches jobs are hard as it is, and many can’t handle it without succumbing to something as low as the actions that Mike Rice resorted to. I am positive this goes on more than many people not involved in sports understand, but wait till more stories come out. Every since Cam Newton came into the spotlight at Auburn, the program has been under scrutiny and criticism from reporters and investigators, and rightfully so. 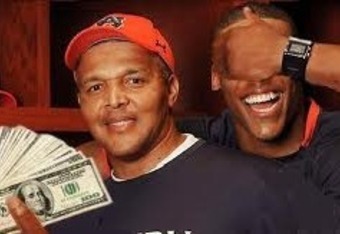 Cam Newton was welcomed with open arms, and wallets after he’s been on record saying he couldn’t go to Mississippi State because the money was too good to pass up at Auburn, fishy. And the only reason they weren’t busted is the NCAA decided there wasn’t “sufficient” evidence. Now, it is being reported that Auburn changed the grades of at least nine players to keep them eligible, offered money to potential NFL draft picks so that they would return to school as well as violations related to recruiting. Former players are on record now saying that the Auburn coaches slid them some money to stay in school. Listen, I love college football, but it’s easily one of the most corrupt sports in the country because these athletes are unpaid and coaches do anything possible to get the recruits and keep the kids, because it ultimately means they keep their jobs. Don’t worry though the NCAA loves its precious S.E.C! The Knicks have won 10 straight now, without Amar’e and up until two nights ago, without Tyson Chandler. They have secured the number two spot behind championship-favorite Miami. The Knicks could be staring at a Eastern Conference Championship matchup with the Heat, which could be one for the ages, like they used to be. The Nuggets have been overlooked all year, including when they had their own 15 game win streak because the Heat were running off a small win streak of 27 games. The Nuggets are sitting pretty at the three seed and can run with or on any team in the NBA. Fear the Nuggets! As a Ranger fan I will touch on the deals made by the Rangers. Ryan Clowe? Brilliant move by getting somebody who was under-performing this year for not much and hoping to re-sign him to a deal now, especially since he scored two goals and an assist in his first game. Bad move, trading Gaborik. It seemed the struggles and the disappointment that the Rangers’ season has been was pinned on Gabby all along. If you take our finesse All-Star who is coming off a major shoulder surgery with no training camp and demote him to the “thrasher” line, what do you expect if he isn’t going to score or go out and throw his shoulder into someone? The first game it looked like a good trade, but Gaborik netted a goal and added an assist in his first game as a Blue Jacket. I still don’t like it, but I’m not running this team. His contract was up after next year anyway, and Richards isn’t scoring much either, shame. Who’s ready for some baseball? Don’t look too much into opening week, there are after all over 150 games remaining after this week for each team. No worries Yankee faithful, we’ll be there come September and October!